Purchasing a tattoo gun suitable for beginners can be a complicated process if you have never done it before. 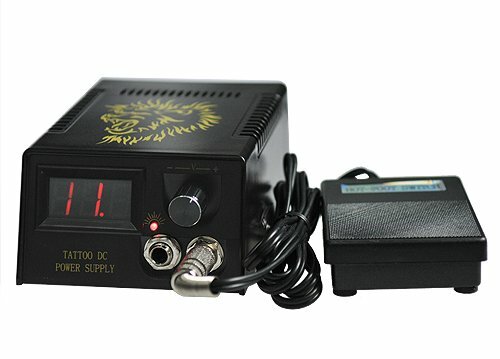 For those who are experienced, it can still be confusing on which tattoo kit will be the best to use from all the tattoo guns for sale available. The tattoo machine reviewed here by Fancier – tattoo kit S-T02, is a tattoo gun kit that someone would want to look closely at. 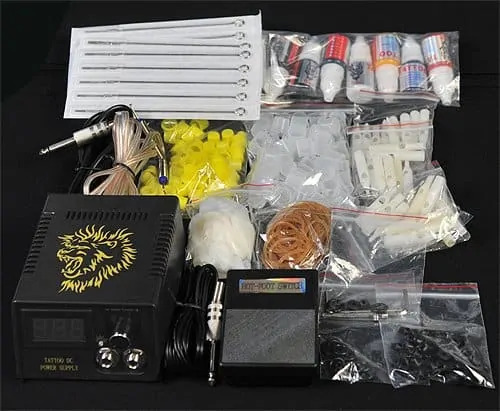 This pretty cheap tattoo kit is one that can be beneficial and even a wonderful purchase for any beginner and amateur tattoo artists alike. What is inside the tattoo machines kit? The kit will arrive in a carrying case that has the ability to lock, as well as providing a key for it. Inside the kit, you will find a four of the latest tattoo guns (10 Wrap Coils), that can be set up to perform as a liner or shader. Also, you will get 2 empaistic grips with tube, 2 stainless steel grips with tube, and 8 stainless steel tips in several different sizes. Professional power supply and foot petal are also in this kit. The tattoo kit also comes with a DVD tutorial for those who are just starting learning how to tattoo. 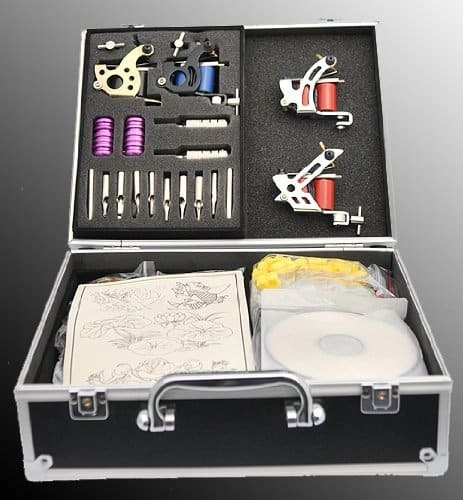 The tattoo guns in this kit are one of the best in all tattoo machine kits for sell that available for beginners. They are simple and easy to use. It is perfect for those who are just starting out, but it is also durable and reliable for those who have been tattooing others for years. The guns run on low heat, as well as having a steel frame. The guns can be designed to perform as a shader as well as a liner design. The only con – the machines need to be tuned at the beginning (still, normal and pretty easy procedure). The power supply is able to have their mode working with either an 110v or a 220v. Something that is nice about this particular kit is that the company will send the plug pre fitted with the power outlet plug from your specific country. Also, the power supply is digital, which can be a great thing. Important to note – the power supplies appear to be pretty sensitive. The kit also comes with a foot pedal, this pedal allows you to turn on and off the power supply as needed (click on, click off mechanism). I just suggest if you are used to a regular foot pedal to find a different pedal – personally I prefer the pedals you keep your foot on. The kit comes with 7 different ink colors: brown, blue, red, yellow, green, white and black, the inks are designed for a new artist. They are decent quality, however, before inking others I would suggest to look into purchasing higher quality inks. Still, nevertheless, the inks that in the kit are brightly colored and do work with the gun well. They are great for practicing and exactly what a beginner could use. In this kit, a person will find 8 steel tips, 18 different disposable tips and 50 tattoo needles. Also, 1 ink holder is included and 50 rubber bands. The kit is designed to be portable with a carrying case – the case comes with a lock and key. You also receive a video that will offer a tutorial on how to use the equipment as well as tips for those that are just beginning to tattoo. Overall, the kit has a great price for all the items that you are getting. It is a wonderful beginner kit and a decent kit for those looking to add to their current stuff. You might want to look into new or more inks, however, everything else is well worth the price. One of the better tattoo gun kits suitable for beginners. Buy the kit on Amazon, internet most reliable web shop.